Orbic offers the highest quality personalized flight instruction. Our expert high time staff will help you reach your goals, whether you are interested in becoming a professional pilot or a private pilot. We offer various courses beginning with the Private Pilot’s License and progressing through the Commercial Pilot Certificate and Certified Flight Instructor Rating. Visit our testimonials to see what our clients have to say about Orbic air. Many helicopter flight schools publish course costs and predict completion times, but from our experience we can only inform you of the FAA Minimums as well as industry averages. Most people complete their Private Pilot Certificates within 55- 75 hours of Flight time to include Dual Instruction as well as Solo Flight. Please Contact us for applicable pricing. Knowledgeable & skilled instructors and the highest quality aircraft. At Orbic, safety is our top priority. For 20 years we've provided flight instruction with an impeccable safety record. Our aircraft and instructors maintain the highest safety standards and current records. Robinson R22 Beta ll: Superior performance, outstanding reliability, and exceptional value have made the two-seat Robinson R22 the world's most popular entry-level helicopter for nearly two decades. More than 3,600 Robinson R22 helicopters have been delivered to more than 60 countries around the globe. 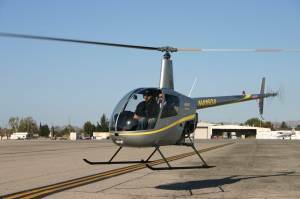 The Robinson R22 holds major performance records in its weight class including speed and distance. And the latest Robinson R22 Beta ll is still sensibly priced with the industry's lowest cost of operation. 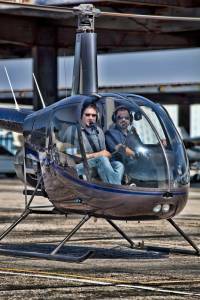 Orbic Air offers helicopter flight training at lowest cost with industry's best helicopters. Robinson R44 Raven ll: Quite simply, the R44 delivers the performance of an expensive turbine helicopter at an affordable piston price. Its sleek design, impressive speed, and unparalleled reliability give it the competitive edge. 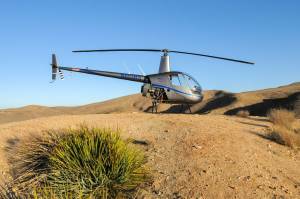 The Robinson R44 offers turbine like performance with high reliability, fuel economy, endurance, and comfortable hydraulic controls. Helicopter flight training in Los Angeles has not been so easy before. Robinson R22 Beta II Superior performance, outstanding reliability, and exceptional value have made the two-seat Robinson R22 the world's most popular entry-level helicopter for nearly two decades. More than 3,600 Robinson R22 helicopters have been delivered to more than 60 countries around the globe. 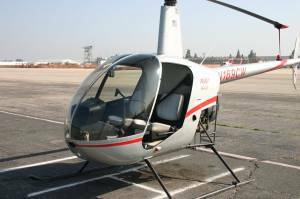 The Robinson R22 holds major performance records in its weight class including speed and distance. And the latest Robinson R22 Beta ll is still sensibly priced with the industry's lowest cost of operation. Orbic Air offers helicopter flight training at lowest cost with industry's best helicopters. Robinson R44 Raven II Quite simply, the R44 delivers the performance of an expensive turbine helicopter at an affordable piston price. Its sleek design, impressive speed, and unparalleled reliability give it the competitive edge. The Robinson R44 offers turbine like performance with high reliability, fuel economy, endurance, and comfortable hydraulic controls. Our instructors offer invaluable insight, skills, and knowledge as well as build a custom tailored curriculum for each individual student. Orbic invests significant resources towards instructor standardization, thus ensuring a 100% passing rate to all our students. Description: Price is Per Person: Our Demo flight allows you to get a sample of what our training program will be. You will spend 30 minutes in ground school, followed by 30 minutes in the air with an instuctor.